Patrick G. Burns, Paul G. Juettner, Paul R. Kitch and Amy C. Ziegler Named Illinois Super Lawyers | Greer, Burns & Crain, Ltd.
Greer Burns & Crain is pleased to announce that Patrick G. Burns, Paul G. Juettner, Paul R. Kitch and Amy C. Ziegler have been named Illinois Super Lawyers. Super Lawyers selects attorneys using a patented multiphase process based on peer evaluation and independent research. Each candidate is evaluated on 12 indicators of peer recognition and professional achievement. Selection is limited to 5% of the attorneys in Illinois. 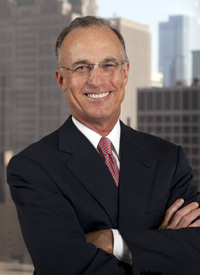 Patrick G. Burns is a founding shareholder at Greer, Burns & Crain in Chicago. The emphasis within his practice today is patent prosecution and opinions. Mr. Burns has handled litigation involving a variety of intellectual property disputes in the Federal Circuit, Federal District Courts, and the International Trade Commission. Mr. Burns is a prolific author and lecturer on intellectual property rights, and has taught in a seminar for the Patent Resources Group entitled “’Designing Around’ Valid U.S. Patents” since 1994. 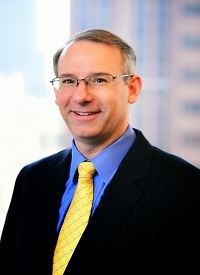 He is a past President of the Intellectual Property Law Association of Chicago, and a past Chairman of the Patent, Trademark and Copyright Committee of the Chicago Bar Association. Mr. Burns is an Adjunct Professor of Law at Chicago-Kent College of Law from 2006-2013. He received a Distinguished Alumni Award from the Chicago-Kent IP Law Society in 2009 and an Alumni of Distinction Award in 2013. Rated AV Preeminent by Martindale-Hubbell since 1984, Mr. Burns was named an Illinois Super Lawyer by Law & Politics Magazine and a Leading Lawyer by the Chicago Law Bulletin. Paul G. Juettner is an intellectual property attorney with three decades of experience in all aspects of trademark, patent and copyright protection and enforcement. He focuses his efforts primarily on international intellectual property portfolio creation and management, and he has consistently helped the firm’s clients grow their businesses and their IP portfolios domestically and internationally. As a graduate civil engineer, Mr. Juettner is active in Intellectual Property Law Assoc. Educational Foundation and Chicago Engineers Foundation that encourage and empower Chicago high school students to become the next generation of engineers through scholarship grants, outreach and mentoring. Paul is also an active supporter of St. Jude Children’s Research Hospital. He is an avid fan of baseball, barbeque and blues music. Paul R. Kitch assists clients, especially high-tech companies and manufacturers, with strategic development, management and utilization of strong patent portfolios. For example, between 2012-2016, Crain’s Chicago Business published its Eureka Index Quality Scores ranking Illinois companies based on quality of their patents issuing in the preceding year. One of the patent portfolios Mr. Kitch has been assisting a client build for over 20 years placed in the top three in all five years of available data including being ranked #1 in three of those years. He focuses on patent prosecution, litigation and counseling and has repeatedly been successful in getting infringing products off the market and obtaining related damages. Additionally, he counsels clients concerning a variety of other aspects of intellectual property including copyright, trademark and other intellectual property matters. Mr. Kitch is often asked to speak about leading issues impacting patent law such as recent changes in the landscape of patent eligible subject matter. 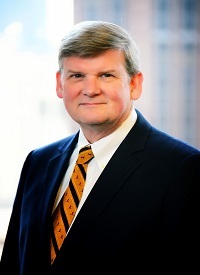 Mr. Kitch currently serves as the Immediate Past President of the Intellectual Property Law Association of Chicago (IPLAC) and is a past Chair of the Patent Law Committee for national IP bar association, American Intellectual Property Law Association (AIPLA). Founded in 1994, GBC is a full-service intellectual property firm that offers a complete spectrum of IP services. It is optimally sized to deliver the highest value to its clients while remaining laser-focused on their needs. Greer Burns & Crain has obtained thousands of patents and trademark registrations for its clients in the US and abroad. GBC is regularly ranked as one of the busiest trademark litigation practices in the U.S. based on number of cases filed. 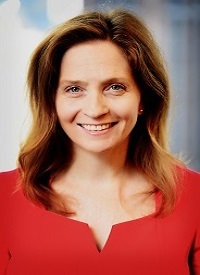 GBC has also been recognized as Best in the USA for Software Trademark Portfolio Management, Best Technology Law Firm in the Midwestern USA, a leading law firm in Internet & Domain Name Disputes, Best Online Law Firm in Chicago, and Most Renowned IP Law Firm in Illinois.